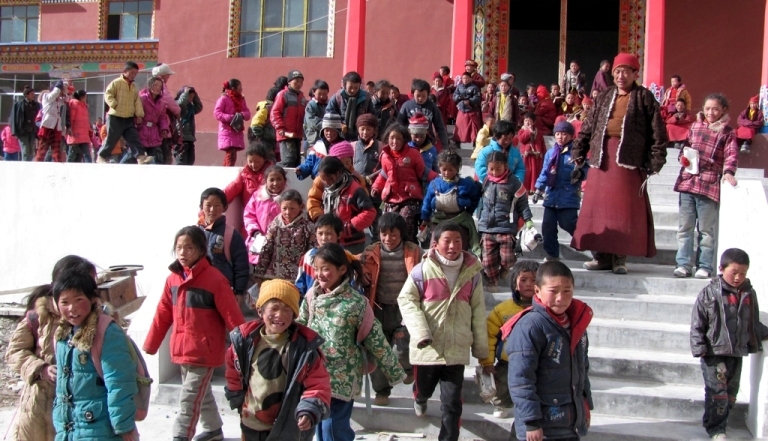 Starting in 2008, the Konchok Foundation has supported a Children’s Educational Program in the Surmang valley. 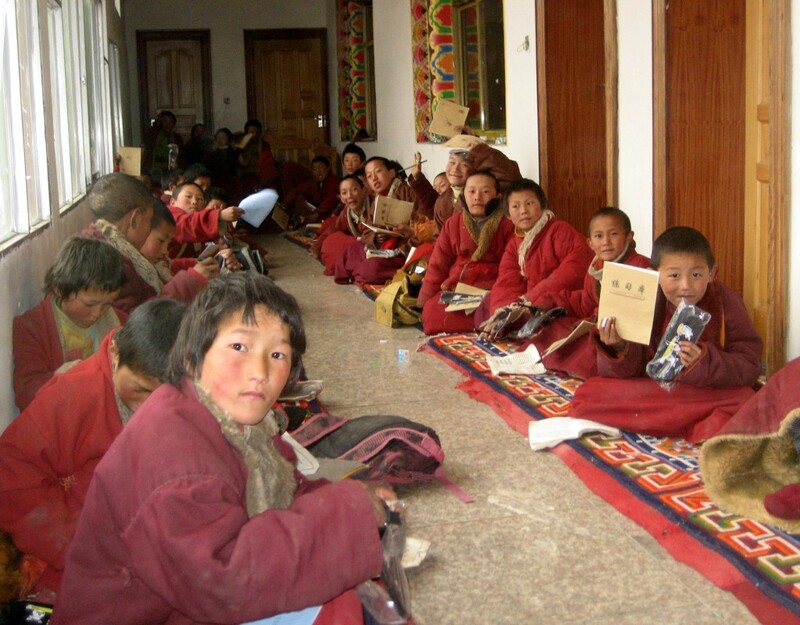 The program focuses on basic reading and writing in Tibetan, as well as arithmetic, for the local children, both girls and boys who live nearby at home with their families. The children are also fed two meals per day when the program is in session, which is important in this region of extreme poverty. 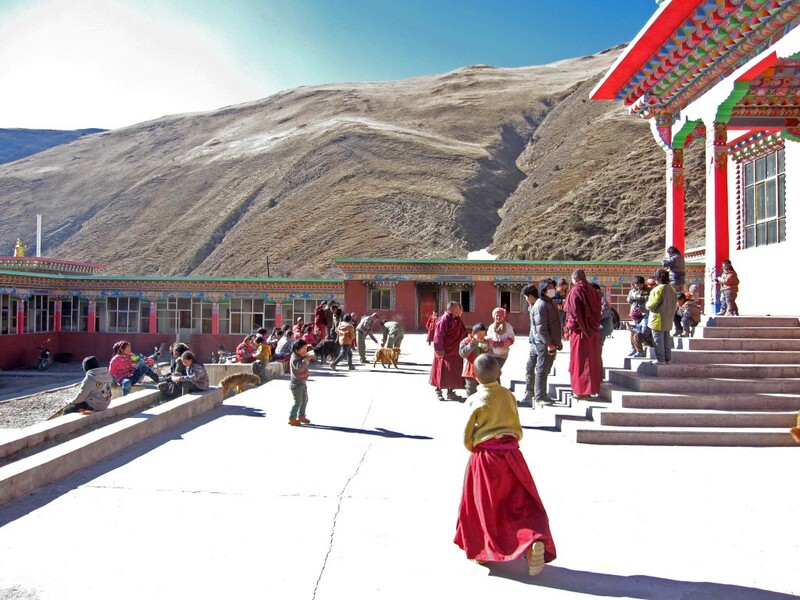 The people of Surmang have few educational opportunities and most, other than monks and nuns, are illiterate. There are no government schools or other educational opportunities in the Surmang valley. The closest school is a considerable distance, too far away for daily travel, especially for young children, and no public transportation exists. Also, government schools principally teach in Chinese, with only limited Tibetan language instruction. The Children’s Educational Program operates seven days per week when in session. 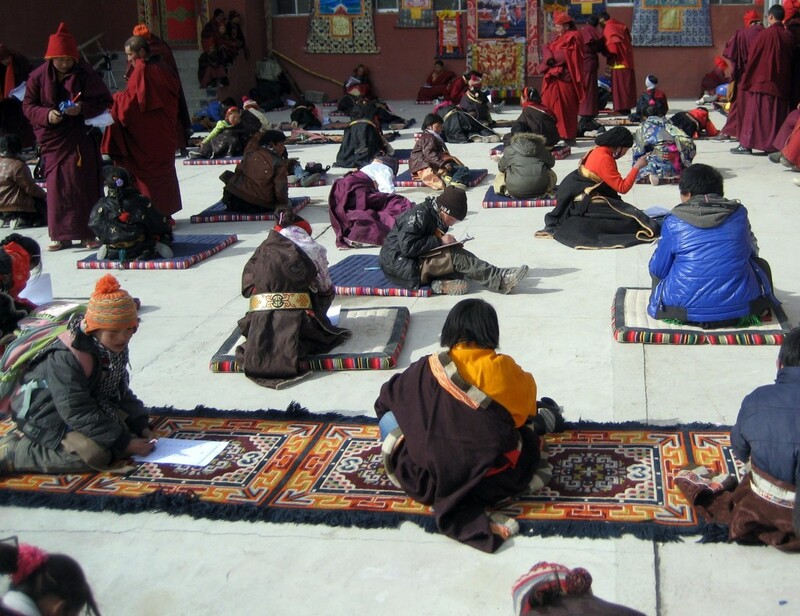 The sessions take place during the seasons when the most children can attend and closes during key certain times of year, for example, when local Tibetan families search for medicinal herbs as a source of disposable income. Due to family obligations and economic considerations, the number of children participating in the program at any given time fluctuates, reaching 200 at peak times. For most of the time since 2008, the Surmang Shedra has offered programs for young apprentice monks, combining literacy training with a basic Buddhist education, taught by a khenpo or cleric-scholar. The young monks engage in scholastic debate as part of their training. This spring, the Surmang Shedra is taking a break from training the young apprentice monks until the full shedra program for adults commences in the fall, providing an ongoing platform for the shedra’s function as a monastic college. Thank you for contributing to our 2018 Matching Grant Campaign! Just over halfway there to our matching grant goal! Funds will support the growth of the Surmang Nunnery and cover the consecration and inaugural session of the Surmang Shedra.